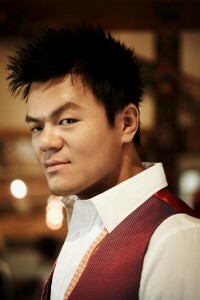 Park Jin-young (or JYP as he is more commonly known) has had a long career. Debuting in 1992 — the year that this writer was born — JYP has dabbled in many different parts of the entertainment industry. He’s a singer, a songwriter, a dancer, a record producer, an actor, and the CEO of a major entertainment company (though perhaps he is most famous for his whisper). Regardless of how you came to know of JYP or how you feel about his signature whisper, no one can deny that the man has an extraordinary track record as an artist, a mentor and a businessman. And now, at 40 years old, he has decided to use his tenth album Halftime to reflect on his life by giving us a soulful record of love and happiness. And with the announcement of his engagement just a few days ago, the theme of his album makes even more sense. The eponymous opening track “Halftime” is a subdued rap track. With a soft piano and strings combo against JYP’s quick syncopated rapping, the song is a bit strange. It works because of the R&B chorus, which melds the two styles together, but it’s perhaps the weakest track on the album musically because of the lopsided nature caused by that disparity. The strength of this track though lies in the lyrics, which are incredibly personal and feature many details about JYP himself. However, he says that all of what he did, songwriting, dancing, singing, going to America to sell music even, left him feeling empty. After realizing the lack of happiness and satisfaction in his life, he brings up the big questions of life. He talks about finding “the one who created the world” and deciding “between good and evil, right and wrong.” He realizes his insignificance, saying he’s “not even a speck of dust in this wide universe.” It shows that despite all of his fame and accomplishments, JYP is still a human like us, trying to find his purpose and how to be happy. It’s a humanizing track to open with and sets a solemn, reflective tone to the album. Continuing with a logical thematic progression, “Greatest of These” talks about money, fame and love, all pursuits in JYP’s life. With its crystalline piano, the track has a much lighter, more positive tone to it than the previous. That sound pairs nicely with the lyrics since he comes to the conclusion that love is the greatest among the aforementioned. While I’m a huge fan of Gaeko — whose rapping on this track is as sharp and spot on as usual — it’s Nam-goong Song Ok’s feature that makes this track so strong. Her voice doesn’t sound too different from the standard fare ballad artists, but she has a subtly unique timbre that really shows when she holds notes. Paired with JYP’s distinct voice, she has just enough character to not blend into the background of the track but not too much to fight for the spotlight in the track. It makes for a lovely balance. The single of the album “Had Enough Parties” really goes off the solemn nature of the opening track and delves into the emptiness of money, power and fame. As Kelsey mentioned in her review, JYP questions what is the point of accruing wealth and status without anyone to share it with. It’s a track of yearning as he pleads for someone to save him. This song really serves almost as a warning to others that all of these things aren’t what make a life — they leave one always “hungry,” as he puts it — with JYP’s personal experience as an example. With its somber controlled cries and crisp snaps to fill it out, this track makes sense for a single musically. It has that characteristic JYP pop sound to it, and with the faint electronic line in the background it makes for a more pop ballad track that really suits JYP’s timbre more than a straight ballad. It actually makes for a great contrast against the desperation in his voice, evident especially in the higher notes. Going for a more soulful, gospel-influenced sound, JYP croons of his love and how she really doesn’t know how much he loves her in “She Doesn’t Know.” It’s already sweet and romantic, but in light of his engagement announcement, it’s incredibly cute and sounds like he even wrote it when he just had a crush at the start of his relationship. And the music with the brass, organ and chorus really makes his love seem even bigger, adding grandeur and this feeling of lasting loyalty. Even greater than the music though is the use of pauses and breaks within the song. They build the emotion, especially in conjunction with the drums. A much airier, more romantic track, “Mingle Mingle” has an almost sensual edge to it because of the lightness of JYP’s vocals and the touches of electric guitar. With the higher notes toward the end, it has a lovely sweetness to it, especially when paired with the lyrics which apologize for always being busy and promise a whole day for just the two of them. 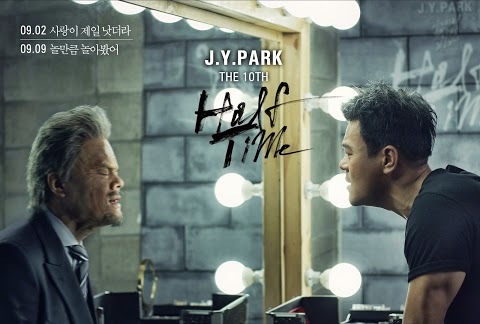 It’s quite the intimate track, especially since JYP speaks directly to his fiancee a few times, such as saying, “This song is for you, baby” at the beginning. Ending the album on a high note, “You’re the One” has the big band feel of a wedding song, and with the track’s lyrics it’s no surprise. JYP sings about looking into her eyes and feeling nervous and happy at the same time but disoriented by everything around him, which just reminds me of a wedding. If only this had come out earlier because then we could have included it on our I Now Pronounce You… playlist. It definitely would have fit perfectly. Even musically, this track sounds like a wedding song because it features a little bit of everything: some piano, guitar, some smooth bass, jazzy brass, prominent percussions, and a little synth for good measure. With JYP’s voice at its crispest in the entire album on this track, this song makes for the perfect conclusion to the album, filling in the emptiness that he rapped about at the beginning. Halftime is a sort of musical memoir of JYP’s life, summarizing where he’s been and where he wants to go. Despite starting on a dark tone, the album lightens and shows that this is a man who has realized what’s important to him in life. It’s not often in K-pop that an artist’s real life — usually kept securely under wraps — has an influence in the way we approach their music, but this time is different. 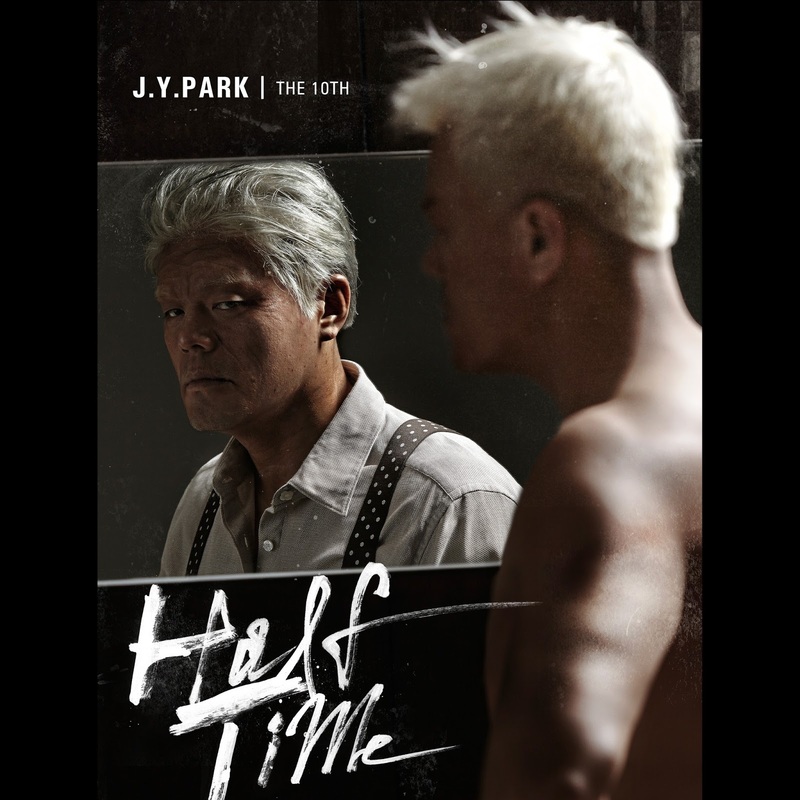 Already an obviously sentimental album, Halftime with its theme of life and happiness seems even more powerful within the context of JYP’s engagement. It takes the emotion in the honest reflection of the album and further reinforces its strength, making for a strong tenth album from a veteran artist.